Work hard, but commute harder with the Radial 34L Rucksack. Featuring Osprey's AirSpeed inspired trampoline suspended mesh backsystem this pack allows for great breathability when commuting in hot and humid conditions. 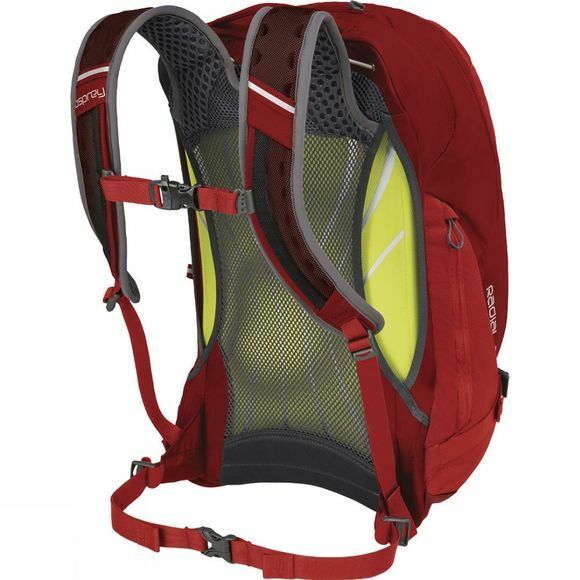 The ventilated stretch yoke and load lifters on the harness combined with the elastic hipbelt wing mean that the pack is able to move closely with the body, offering extra flexibility and comfort. With an integrated kickstand, the pack stays upright by itself, so you don't have to prop the pack up when accessing your gear or reaching for your phone. 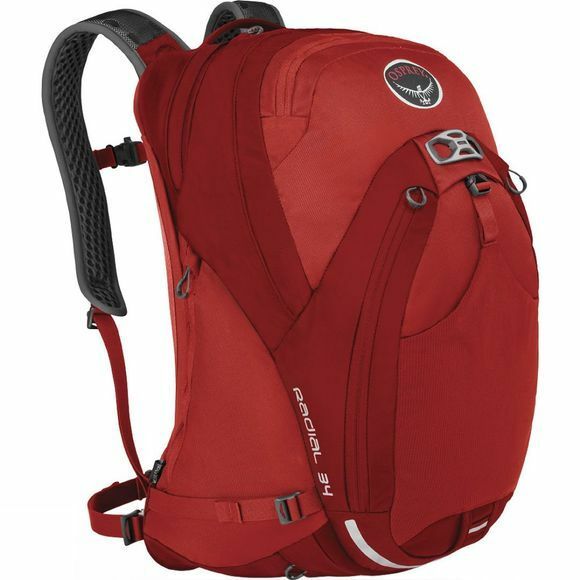 This innovation also prevents the pack from tilting over and damaging your gear. The LidLock bike helmet attachment means you can store your helmet on the outside of the pack. The padded laptop and tablet sleeve keep your tech safe and the built in high visibility raincover can be deployed when conditions take a turn for the worse.